Lest the dervish’s ship fall prey to the whale. I heard from an elder that the one, who turns to a ring, reaches the door. In this poem, Bidel, demonstrates the ultimate humbleness that one should possess if undertaking a journey to reach harmony. He says that he ran through thousands of streets, spent nights and days, and endeavored pain to reward himself with tranquility, and peace. For Bidel, the word ‘tranquility’ is an allusion to the achievement of the reality of the existence; also, it is an insinuation to his beloved one, whoever might be; and finally, ‘tranquility’ is an allusion to his God. Bidel says that life has a meaning, and that meaning is not easily attainable. The significance of the first line’s meaning manifests itself in the second line. Bidel says I perceived from an old man that the path to harmony is to become a door’s ring. This multifaceted line, at first glance might drive the reader into complete perplexity and wonder. However, it is no wonder when the readers find themselves confused, Bidel has unique style and he has used the most complex and implicitly difficult meanings to extract his imagination of humbleness. So, to put it an understandably meaningful way, Bidel says that I spent all my life to reach harmony, but I was failed. Then he says: “An old man told me that in order to achieve the state of harmony and tranquil, one should be humble enough.” The word ‘ring’ has a special and an implicit meaning here. Bidel uses ‘ring’ to symbolize the old-age and the U-bend of life. Symbolically and humbly, Bidel pictures himself as a door ring at the gate that he might refer it to God. In another way, Bidel uses ‘ring’ to symbolize bowing; the gesture of humbleness, and obedience to God. Finally, being a ‘ring’ at door that implicitly pictures humbleness is a supreme virtue. So, what is Bidel’s wisdom for us? Modesty is the core of success and a path to harmony. Be modest in your clothing, in your talking; do not show off your knowledge and your wealth to others. Demonstrate humbleness and kindness to others, life is short, and at the time you realize you have ran thousands of streets and still running to find harmony, but you cannot, pause and ponder how modest and humble you were. This path, led the new moon to its perfection"
I chose this verse because to remind myself of a humble person that I have met recently in a coffee shop. He was a short man with white beard, probably in his 60s. I can’t remember what sparked a conversation with him but a brief chat with him was worth million moments that I routinely spend in vain. The book contained a series of scholarly articles inspired by his work and it was published to honor him and his academic research in the field. For the past few days I have been thinking about him and his humbleness. Today, I came across one of Bidel's poems that says the path to perfection is humbleness, what the old man has been following. PS: Every Saturday, I plan to translate a poem of Mirza Abdul Qadir Bidel, one of the greatest 17th century’s Persian mystic poets. Karim Khalili, the second Vice President of Afghanistan and Karzai’s crony has the audacity to call on UN to verify the authenticity of the audiotape that Abdullah Abdullah’s team has claimed he was involved in electoral fraud. For the past 13 years, Khalili has done nothing to his oppressed minority and long persecuted ethnic group “Hazara,” rather than acting as a subservient to Karzai and delivering Hazara votes to him. To my dismay, I discovered that Afghan officials from top to bottom have no moral obligation towards people and their votes. The audiotape is a clear evidence of Khalili’s involvement in the electoral fraud. In the audiotape, from his disgruntled tone of voice and his embarrassment of the result of the first round election, the phrases that he uses, and from his utterance, it is crystal clear that the voice belongs to him. An individual who feels morally obligated and responsible towards his action, must have certain capacity; unfortunately, Afghan officials lack this basic humane act. I published this on my photoblog, and today, I thought, why shouldn't I post it here as well. Well, this headless person who plays this piece of music on Rabab is me. I improvised this melody while I was procrastinating with my homework. I recorded it last year when I was in college and presented it to a friend. I’m a beginner and pardon me for any mistake if you noticed. 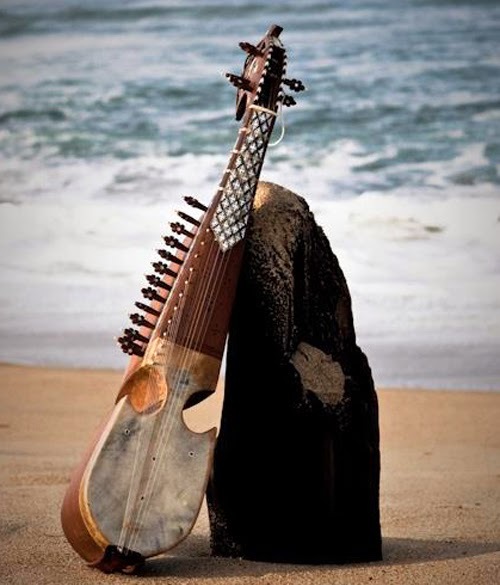 Rabab is one of the most respected instruments in Afghanistan and in fact, it was originated in Herat, western Afghanistan, and then spread throughout Indian subcontinent. Those who are familiar with the history of the Mongol Invasion of India, especially, with the Delhi Sultanate in 1200, and the spread of Islamic mysticism through Afghan Sufis, they can understand the influence of this mystic instrument on Indian music as well. Rabab - though slightly different in shape - is widely used in Indian classical music today, which has also an immense influence on Afghan classical music. It is also a popular instrument in Central Asian countries, namely in Tajikistan, and Uzbekistan, though, with different forms, and with a few extra strings. Rabab is an Arabic word "رباب" rābāb, which is a feminine name, and presumably the name of a peerless beautiful girl who probably lived in Levant. According to the myths, someone who fell in love with Rabab, made an instrument in her name to lament his affliction, and pain through the sounds of a magical, and mystical instrument "Rabab." Today, Rabab is pronounced differently. For instance, in Pakistan, and India, people pronounce it Robab, Rabob and Rubab. An astute reader of this text should remember that though these names have almost similar sounds, the correct way to pronounce it is “Rābāb” otherwise, it means something else. Happy Nowruz, Happy New Year to all of you! I wish you a prosperous year, filled with health and creativity! Your day starts with rejection that sinks you deep in dejection. You are being half-hearted, and gradually start depriving your hope. A feeling of desperation, and defeat vapor in you, and fleetingly cloud your sight; despair is the word that you could name it. But, no, that is not true. I should not feel that way. After all, tomorrow, when the sun rises, I will put on my new shoes, and rise again. I will forget what befell me, it will not hurt me, and I must remember that this is the beginning of the first season. I blame the malignity of the time, but I have the temerity to challenge the fate, if, there is one. Oh, I must not forget that this is the first chapter; I should note that, in the end, the defeat is an experience toward victory. You with your lightening-speed of fingers on the strings of guitar dazzled millions of people around the world; with your rhythms of flamenco, you knocked on the doors of millions of hearts. You transcended beyond the borders; through your magical fingers on guitar, you talked to every individual in the same understandable language and in the same level, either rich or poor, they all equally enjoyed your music. Like sun, your music illuminated the hearts and lasted deeper than sun. Today, thousands of your fans are grieving for your unexpected death. Paco De Locia died today, he was born in a poor family, and as a poor boy he could not finish his school, but later, as an accomplished guitarist, he brought technical skills of flamenco tunes into a sublime perfection, which rose him a world-renown guitarist. 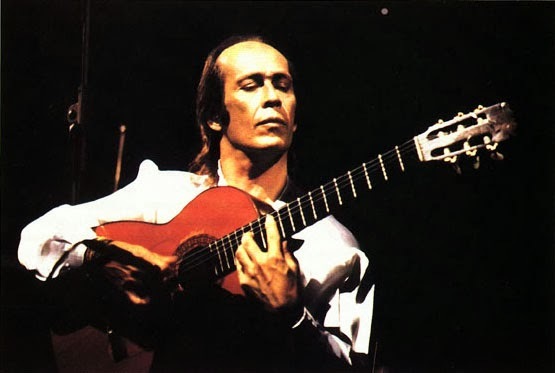 Rest in peace, Paco de Lucia, my favorite guitarist! Solemnly, but smiley, Anahita in her unique traditional Hazara dresss, gently walks up onto stage. When she turns her charming smiley face towards the audience, her beauty pervades gloom all over the place, and as soon as she starts singing, the audience goes wild. Anahita sings with a vital rebellious voice against discriminatory attitudes towards her ethnic group. With her voice, she expands the horizon of hope for the Hazara women, for those who have long dreamt to bid defiance to limitations, and ignoring. 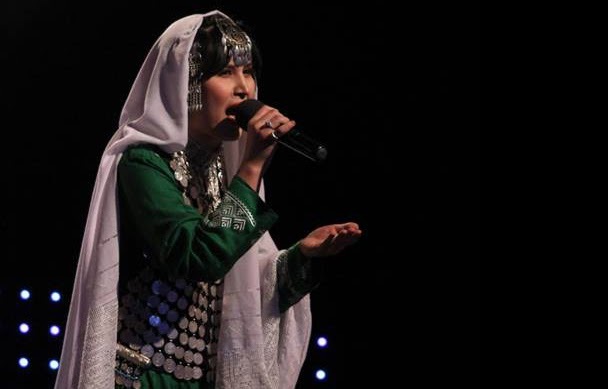 Anahita Ulftat is back on the stage of Afghan Star, the Afghanistan’s pop idol that broadcasts on a local TV channel, “Tolo TV.” She is a Hazara girl from Ghazni who rings the bravery bill of all Hazara women. With her unique serene gesture, but exciting voice, she melodizes unwritten songs; songs of silence, songs of an oppressed minority that for centuries has been deprived from their basic rights. Anahita sings the crying songs of thousands of innocent people who have suffered from ethnic cleansing, historical discrimination, prejudice, and exclusion. Calm and vigilant, Anahita sings love songs, the ones that could recall the tale of a Hazara boy who is enslaved by a Pashtun, and he grieves for his lover who is taken away into a slavery market in Central Asia by bandits of Uzbeks and Turkmen who also plundered their villages. Anahita has a pain in her heart, the pain that is shared by all Hazaras throughout the history. Anahita suffers from the same pain that every Hazara has suffered and suffers today; the pain of being ignored, being discriminated, and being excluded. She sings the song that is buried in fears; laughed at, and being condescended. 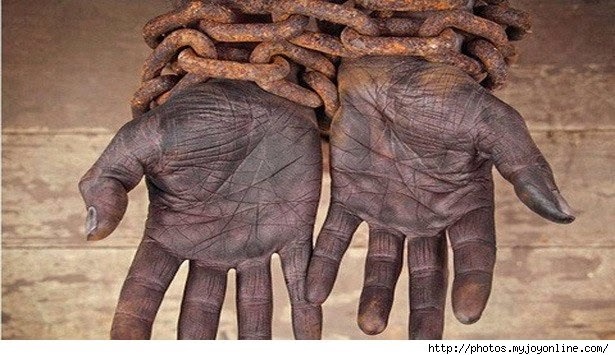 She cries out the pain of a minority that has suffered from overpowering deprivation. Finally, Anahita Ulfat’s voice has a lasting impact, and deeper like sun. Her voice illuminates the hearts, and tranquilizes the minds. The star of the 9th season of Tolo TV, must be Anahita Ulfat, and everyone should vote for this courageous, rebellious young girl, who dares to ring out the sinner voice of the Hazara women. Anahita represents a minority group, and the bravery and liberality of women, and the young generation who wants to fly high. Sunk deep into an ocean of thought, Afghans are famous to be natural born thinkers. As you can see in this photo, three Afghans who are probably in their 50s have glued their gazes at the patterns of the colorful carpet. The man with a Kandahari hat thinks how drops of ocean have ended up into his cup and turned into tea that would finally goes into his body. He floats deep into a dream of joy because he finally comes into the conclusion that the water has come from ocean, which Afghanistan lacks. The other person in the middle has stuck his tea cup into his right cheek and wonders how in the heck humans learned to draw such complicated patterns on the carpet underneath him. 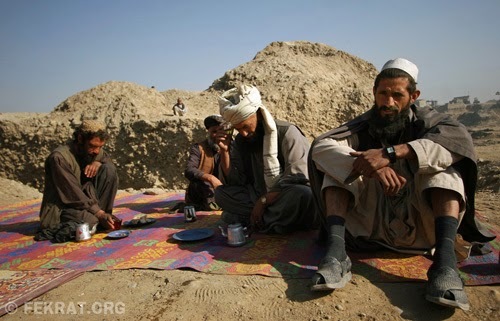 The third person, on the right, has broadened his look to a horizon which is not usual to Afghans. Afghans do not to have horizon, at all; even the most basic and needed ones; for example, horizon of having peace, live a better life, and hoping a better future for their posterity. Nevertheless, Afghans are ironically the greatest thinkers and they think extremely deep. When they fall into thinking, they completely forget to take a break. A correct political term for this type of people would be “extremism.” In fact, some Afghans are extremists, especially in fighting. Take the 30 years of war for example; when Afghans start fighting, they do not stop until they exterminate each other, or, someone else interferes and halts them from fighting. They even invented a code to justify their deeds and their desires for killing each other: “Pashtunwali,” the famous Pashtun tribal code of conduct that’s famously themed in the Lone Survivor movie. According to Pashtunwali, you can kill as much as you want, until no one is left to take revenge. If you cannot kill them right away, wait for 100 years and beyond to protract the blood feud to thousands of years. Afghan thinkers have their own base of reasoning. Their women are not included, however; they rather think women are so meek to be bothered, for their presence in public would be lustfully disastrous. 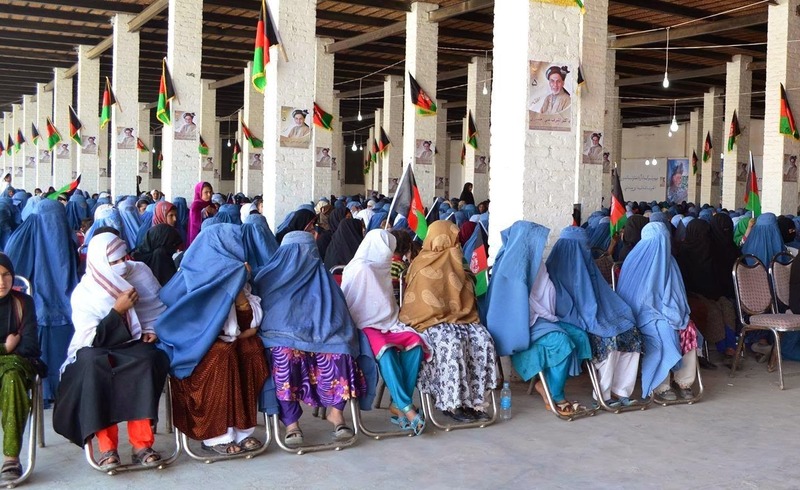 As a result, women in Afghanistan are part of social outcast, like once the Hazaras were. In the words of Thomas Hobbes, Afghans could fall into the category of “brutish.” In the words of Thomas More, Afghans are so incorrigible, and ignorant that thousands of years even pass, Afghans would not be eligible to enter into Utopia. Sadly, More, would even go further on listing the words “Afghan,” and “Afghanistan” as taboo words in Utopia. Nonetheless, Afghans remain extreme thinkers to this day, and deductively, sadly, some of them are with extreme opinions. The last snow storm dumped more than a foot of snow across Midwest and East Coast of the United States on Tuesday. Then, on Wednesday, thick coating of ice covered all over the place. Early in the morning, I woke up with the sound of drops of water falling on my pillow. I cast a fleeting look at the ceiling, it was leaking and from its corner the water was pouring down. 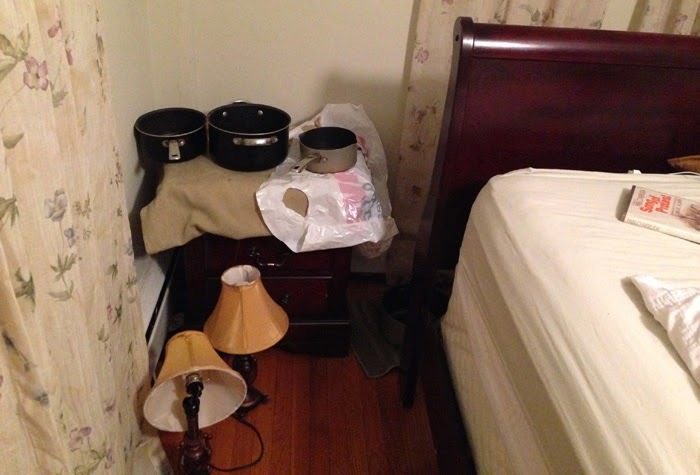 I collected pots and pans from my kitchen to prevent further damage to the floor. Then, I tried to call my landlord, my phone was dead, and there was no power to charge my phone. I rushed out of the house to get access to power and charge my phone. At the door, not knowing that ice has covered the stairs and the patio, I made a nice slide, but thankfully fell on the snow; otherwise, I might have broken a limb, like many trees that lost their limbs. 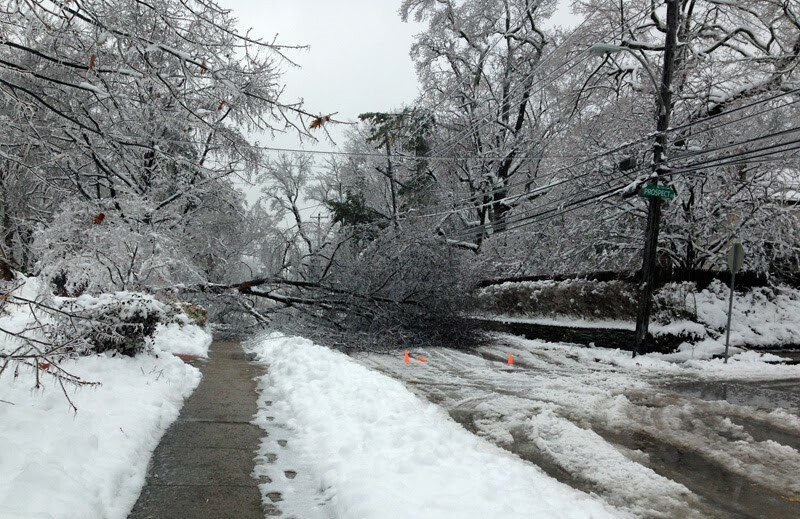 As I hit the sidewalk, limbs of trees were lying on sidewalks, roads, and backyards of people; I hardly made my way through them. Just around the corner, a huge pine tree was left prostrate as a result of heavy snow on its branches. I took it metaphorically very meaningful: You do not get big, if you do, your fall will be disastrous, just like the demise of empires. So, finally, after cruising around the blocks to circumvent stepping on torn electric wires and fallen trees, I arrived at the Starbucks. At the door, the sign said: “Due to power outage, we are closed.” Suddenly, a second thought rushed through my head: Why not taking the bus and spend the day at Barns and Noble. In the bus, a woman was sitting in front of me; tears were rushing down her face. Her house was damaged by a fallen tree. I plaintively sympathized with her, to the point that I almost lied that a huge tree has fallen on my house as well and my life is ruined. I took a somber mood and showed it through a doleful look on my face. At one point I almost wanted to take her hands in my hands to calm her. She got off the bus in mid-way, but her sorrow left a tristful feeling in me for the rest of the day, even to this moment. Anyhow, the Barns & Noble was closed, they didn’t have power either. I spent the whole afternoon at the Giant Store’s café. What a dismal day I had and probably thousands of others were in a similar situation. This experience reminded me of my village, where electricity, and internet were not involved in our lives and we did not face this much unexpected hassle. 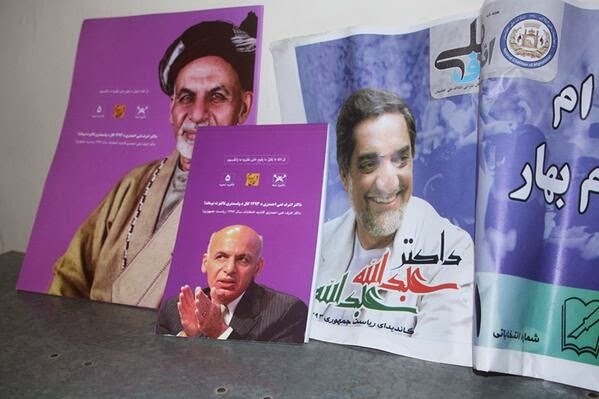 Today, January 2, Afghanistan's presidential election campaign kicked off. There are 11 candidates from different ethnic groups, different backgrounds, and with different plans. The 2014 Afghanistan’s presidential election is a historic by its sheer nature; the election if peacefully and not violently goes, it will definitely propel the country into a hopeful future. The 2014 election is an examination of Afghan people, examination of their tolerance of accepting each other in a brotherly manner, and forgetting their ethnic, and religious differences that would put their fate in peril. The election will test the Afghan people’s understanding of the last 13 years of rule of democracy, desire for a better life, and their willingness to move forward, and put an end to their miserable past. The upcoming election will also examine how much they have learned from the last 13 years of relatively peaceful atmosphere in the country with the support of foreign troops. The presidential election is set for April 5. The next 2 months will be a hectic time to the Afghan people and especially to its security forces that much of responsibility rests upon their shoulders. I, therefore, will regularly keep my blog up to date. I will extensively focus on the 2014 Afghanistan’s presidential election, and I specifically will write on candidates and their plans, who is who, who seems to replace President Hamid Karzai, and finally why the Afghan election matters to the United States, and its international allies. Apparently this drone has crashed three weeks ago. According to PressTV, the unmanned drone has crashed in western province of Herat. From people's words in the video, it appears that the incident has happened in a Pashtun area. Nothing has yet said or published online by American officials in Afghanistan to disclose any details about the incident. The militants has claimed they have shot it down and then they have taken away the wreckage of aerial vehicle. Since the incident happened in Herat province, which is coterminous with Iran, it might be possible that the Taliban have sold it to Iran. If the Taliban have not sold it to Iran, then, one would wonder, what use the wreckage of drone may have to the Taliban? Apparently nothing and they may destroy it by throwing stones at it, as they do in this video. A friend of friend who had shared this video on his facebook page sarcastically titled "the stranded pilgrim." According to some, this beast has done a great job, so far, on going after the Al Qaeda members and the Taliban militants. Most of the operations have been taking place in Southern Afghanistan, alongside the borders with Pakistan. The area is predominately populated by Pashtun tribe, a major ethnic group in Afghanistan. In particular and related to this incident, a plausible guess would cast on American drone operation on Iranian soil, otherwise Herat has not been a hotbed of Taliban activities. Previously, Islamic Revolutionary Guards Corps (IRGC) has often been accused of supplying weapons and funds to the Taliban. It is also possible that the drone had cruised alongside the border of Afghanistan adjacent to Iran to observe the Taliban's movement on the border. 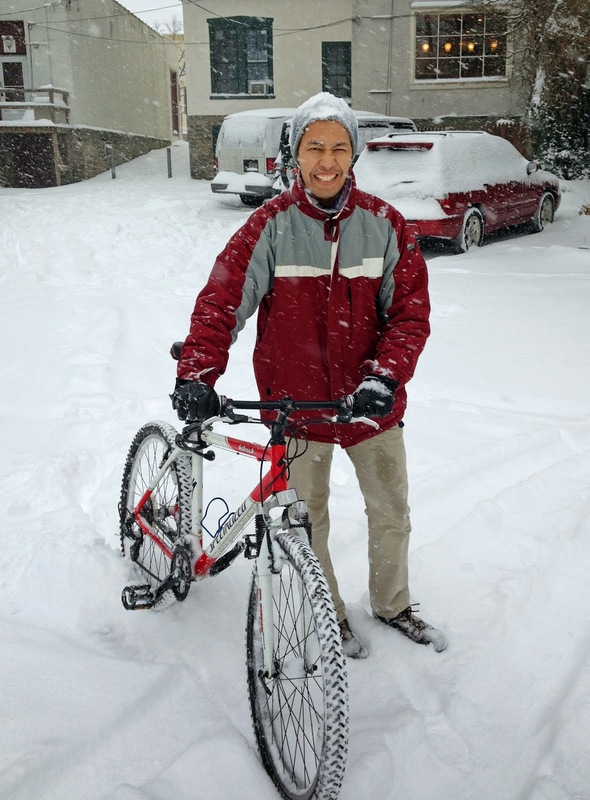 Today, I took my bike out to ride around the block for fun, slipped twice and fell off on the street, made people laugh and it was all entertaining and enjoyable. 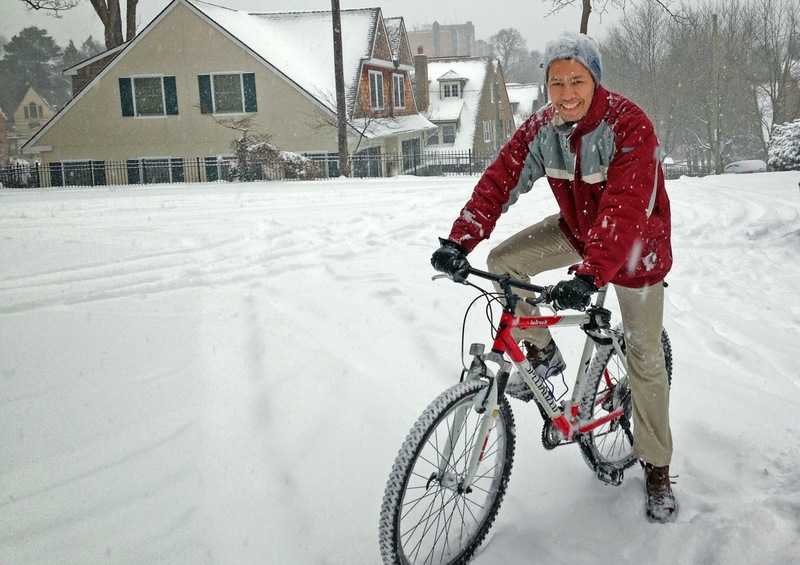 It feels great to bike in a foot of snow, but be careful if you're going to do it, you need to lower the seat, just enough to control your balance. You also need to have mud or studded tires to prevent slide. Heaps of snow is going to blanket the entire East Coast of the United States tonight. It has been snowing since Tuesday morning with a slightly frigid chill that is sweeping across the Northeast. Tomorrow, a bitter cold is expected to follow after the sky satiates itself from shedding its frozen tears on to earth. 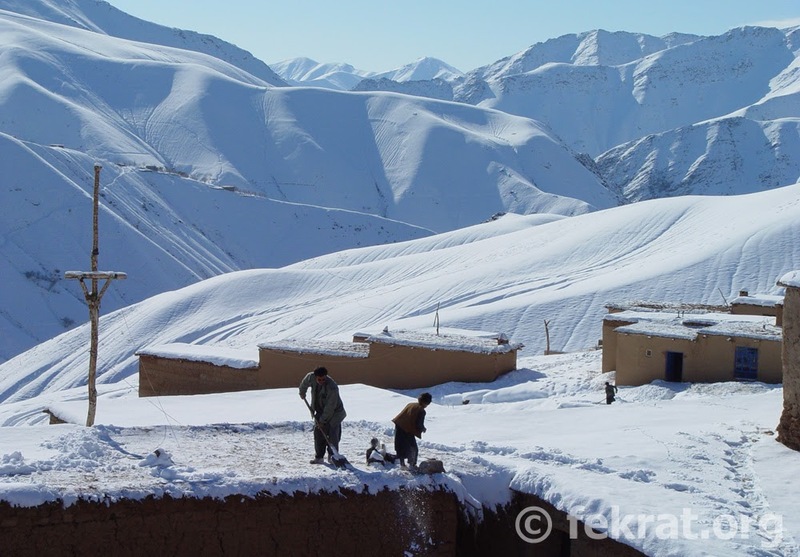 Today, I was feeling nostalgic for those snowy days in the most far-flog village in the central Afghanistan. The snow storm of today reminded me the heavy snow fall - up to 3 and sometimes 4 feet snow - in my village. I recall the winters in which sometimes the slow and steady snow lasted five days. I recall the winter that as a result of a heavy snow a barn was collapsed in the village. In one morning, when I walked out of the house, my elder brother asked me to stand at the edge of snow wall, the snow was higher than my height. I was 11 years old. The flat and little houses of villagers were enveloped with snow and roads were completely blocked. We used to spend almost three days removing the snow from the roofs, paths, barns and backyards. Then, the fourth day, the whole community were getting together for a mass clearing of the snow from long paths leading to other communities. For almost 3 months, the communities in the entire district were going into hibernation. In this way, life was simple and warm. It was easy to believe anything that was told us and we never knew what the fact was and what fiction was. Everything was new and fascinating to us. Old mythical stories always amused and amazed us, especially, when we listened to some of them with absolute horror. The fairies, ghosts, and deads becoming alive, were the stories that bewitched our little souls and captivated our memories with imagery fears and attractions. It is those days’ memories that cling to me, every once in a while. It is those endless reminiscences that fascinate every moment of my life, today. It is those stories, and nostalgia that wistfully hint a river of melancholy mood in me, in the dismal winter of Pennsylvania. Inside Afghanistan, some believe that the recent attack on Kabul restaurant might have operated by those Taliban prisoners that Karzai ordered the release a week ago. However, the Afghan officials have already said that such a sophisticated and complex attack is not expected from the ordinary Taliban. The Afghanistan's National Security Council (which is chaired by Hamid Karzai) has blamed the Pakistani intelligence service, the ISI, for orchestrating the attack. Whoever is behind the attack the consequence will be costly on Afghanistan, and its people. 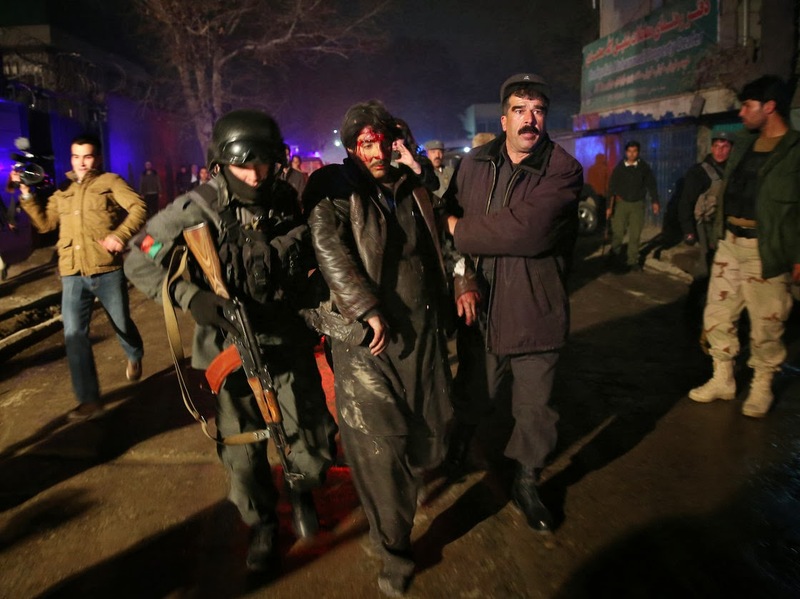 First, the security breach demonstrates the weakness of Afghan security forces, and specifically their incapability of sustaining the security of foreigners in Kabul. Such attacks are serious threats towards foreign investors and the consequence is detrimental to the Afghan fledgling economy, which has already flagged as the foreign aid has started drying up. In addition, such attacks on foreigners will potentially generate a ground of distrust and cynicism between foreigners and Afghans. As a result, the community of expatriates in Kabul will isolate more than before as mistrust is breeding. Second, the accusation of Pakistan involvement in the attack will definitely have a serious repercussion on Afghanistan-Pakistan fragile relations. Since the Afghan government has earnestly been seeking Pakistan’s cooperation for peace talk with the Taliban, the National Security Council’s allegation may halt the peace process efforts, and it is very likely that within the next few days the Pakistani officials will angrily react to the Afghan government’s accusation. Third, for the Afghan people, since the United State has decided to withdraw its troops in 2014, such attacks cause serious concern for their security. A Bilateral Security Agreement (BSA) which allows some of the U.S. troops to stay in Afghanistan and has already approved by the Afghan tribal elders, Karzai still refuses to sign the agreement. Finally, such attacks will certainly be a threat to the upcoming 2014 Afghanistan’s presidential elections, though Karzai would benefit for postponing the election in order to hold on to power beyond 2014. 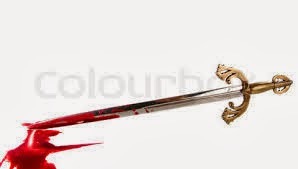 Afghan President Hamid Karzai donated dozens of his bloody swords to the National Museum of Afghanistan. The ceremony which was held under a tight security measure at the Afghan presidential palace hosted chieftains, clan elders with dyed and hoary beards from all over Afghanistan. According to the news, the ceremony started three hours late due to Karzai’s health condition, which was caused by his emotional attachment to his swords that were prepared to be given away. The hall which was in a complete mayhem, suddenly, sank into full silence as soon as President Karzai entered. Pausing, and looking around, Karzai, who was overwhelmed by a feeling of pensive sadness, approached the podium. With a sullen gesture and after repeating “brethrens, you’re welcome” Karzai addressed the participants: “I’m giving away these swords, the honors of our nation and history, the swords that were confiscated from the first infidels who intruded into our fatherland and were contemptuously defeated by us lions, by proud Afghans.” By mentioning “the intrusion of first infidels” Karzai was reminding the elders of the first Anglo-Afghan War in 1839-1842 that left a heavy death toll on the British. While struggling to overcome his emotion, Karzai, with his right hand pulled out a scimitar with dried blood. He then addressed the elders: “This is the sword that our four fathers used to kill the invaders, the dried blood you see on it is the blood of British soldiers.” Elders immediately cried out: “God is great, down with the infidels, we will kill the infidels.” One of the elders whose blood was boiling as a result of Karzai’s oration against foreigners, immediately started bleeding. Blood gushed out of his ears, nose, and mouth. Finally, President Karzai erratically took out a sabre - dripping blood - from his sheath, and addressed the elders: “I will not surrender myself to these American infidels; I will not sign the Bilateral Security Agreement with the United States.” He then left the hall without further delay. Note: The scimitar and sabre were used by the Afghans against the British soldiers in the first Anglo-Afghan War. Some of those swords can still be found in some Afghans' households. Some other parts are allusions to Afghanistan's history, and particularly a reflection on the current political situation. Months have passed by in muteness, I finally decided to return to blogging. This is not a resolution of the New Year, this is rather a promise to myself to update my blog regularly, and ultimately, this is an end to a period of stagnation. This post is a refusal to silence of almost a year; a period in which trifling matter entangled and restrained me from updating this blog. Having spent four years studying in United States, I feel I've transformed significantly. Great people with their generosity and help made my dream possible which I'm indebted to them for the rest of my life. Henceforth, I’d like to verbalize my experience and my feelings here; the feelings that slip away unnoticed; the feelings that come from meeting incredible individuals, with great experiences and inspiring stories; the individuals who splendidly shared with me an array of knowledge and wisdom. I should acknowledge here that most of them have been the sources of growth and changes in me. I often think about them and I gratefully bow to them in my solitude. Finally, there’s also one other thing happens today: The assumed date of my birth. With this note, I wish you all a blissful new year!